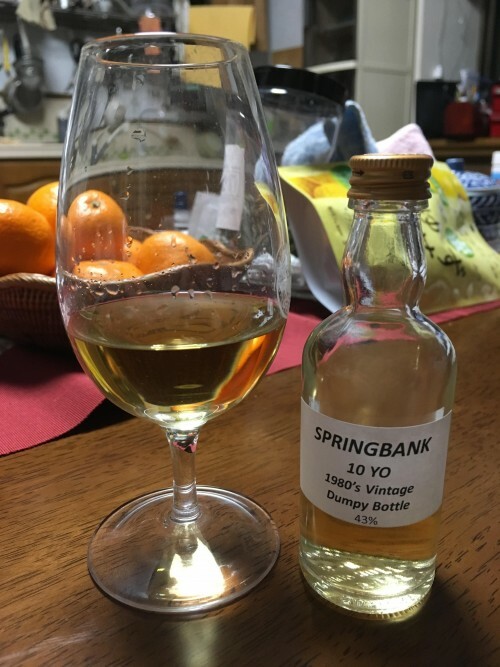 From a sample - This 10-year old Springbank was released in the 1980’s specially for the Japanese market. The nose is sweet and a bit austere at the same time. Flavours of oranges and grapefruits appear first, together with notes of caramel fudge. Then there are notes of sawdust and beeswax, followed by a hint of mint. Smoke is virtually nonexistent, however there is a hint of soot. The palate is medium-bodied and fruity to start with: the orange flavours are back, now together with lemons that have been swapped for the grapefruits I got on the nose. The soot notes are more prominent now and appear next to notes of leather and chocolate. Quite salty too. The finish is long, musty and salty. Some orange and mint flavours make it to the very end. @Pierre_W Still a pretty damn good dram today. A solid high 80s to 90 pointer. 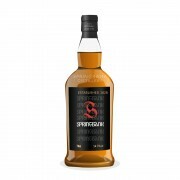 Should be in every malt heads cabinet as a benchmark for what a 10 -12 year old could be. Fully agree, @BlueNote: Just opened a new bottle of the current 10yo two weeks ago. A cracking dram, however this was different due to all the sawdust and soot notes. Cheers!